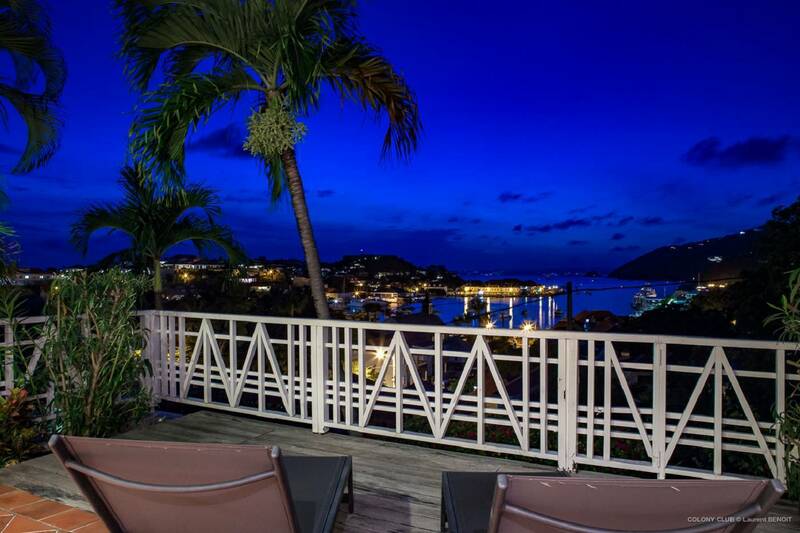 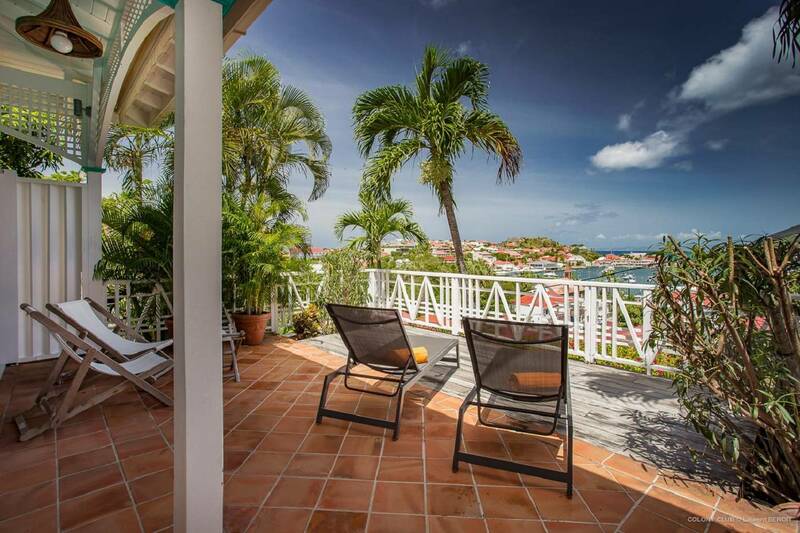 Dream About: Sitting on your terrace while enjoying the views of the harbor, St. Maarten and the sunset. 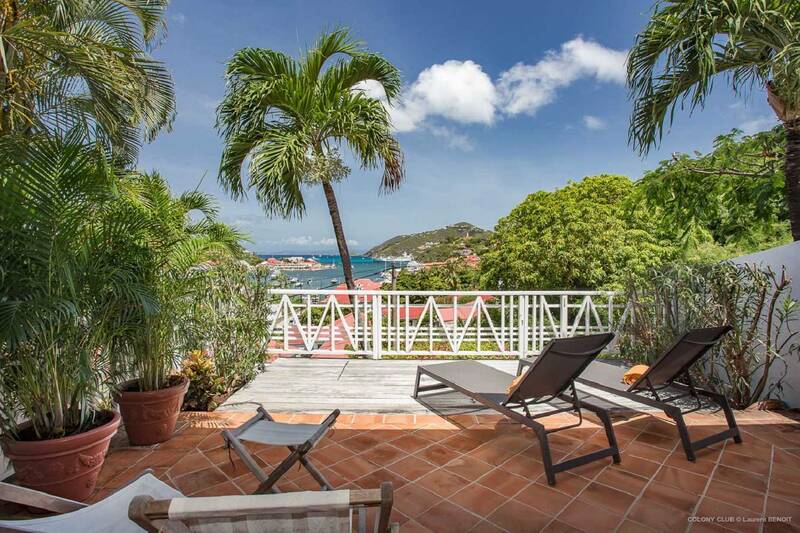 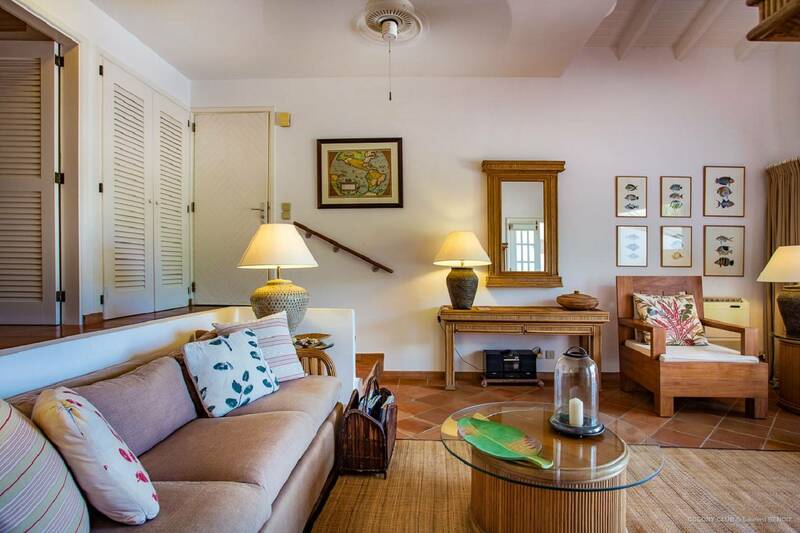 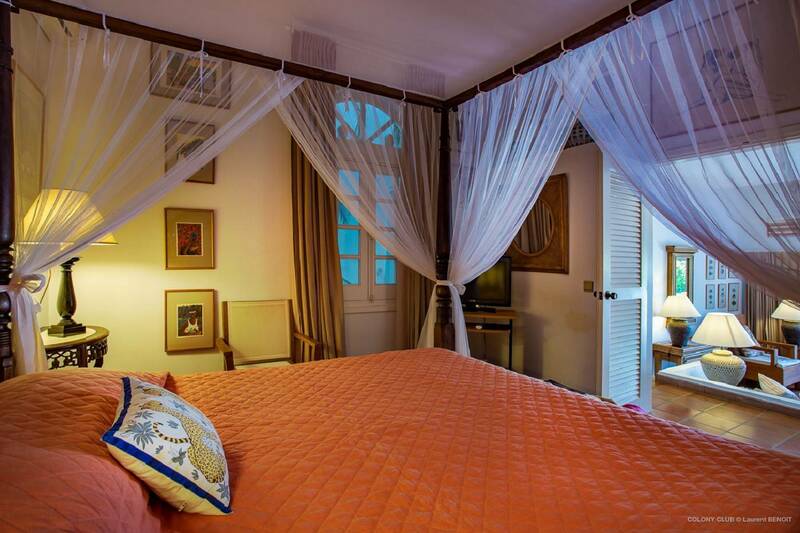 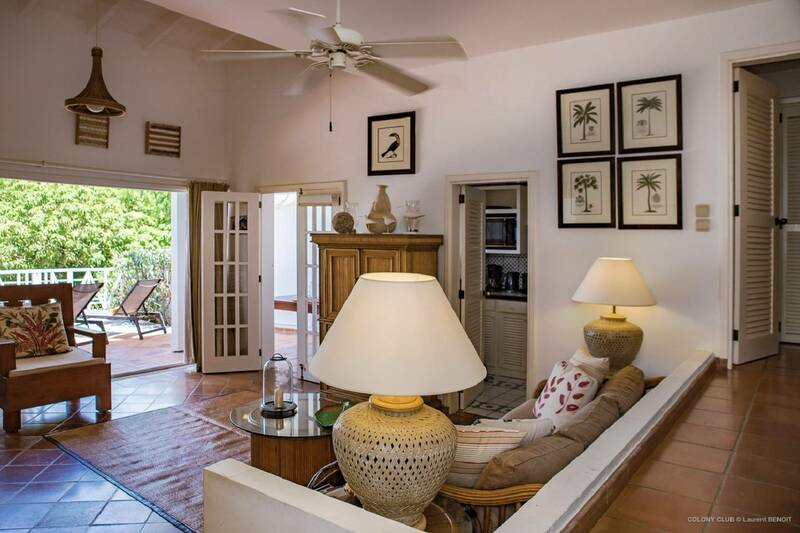 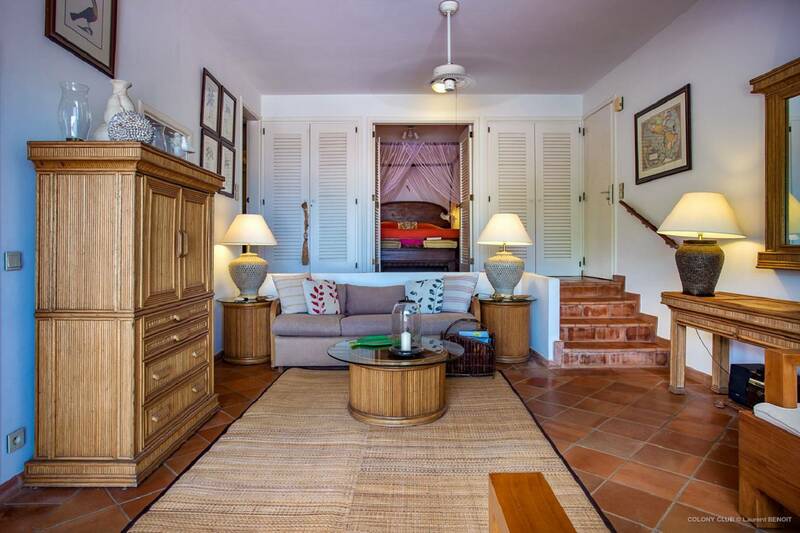 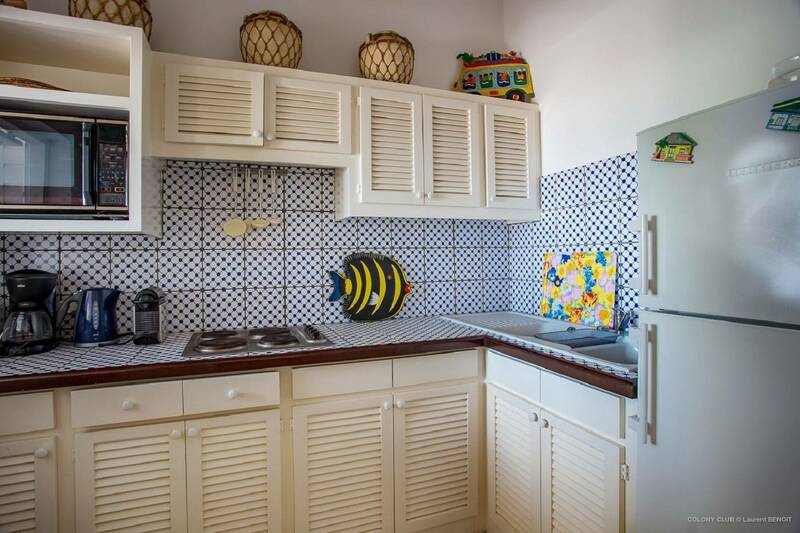 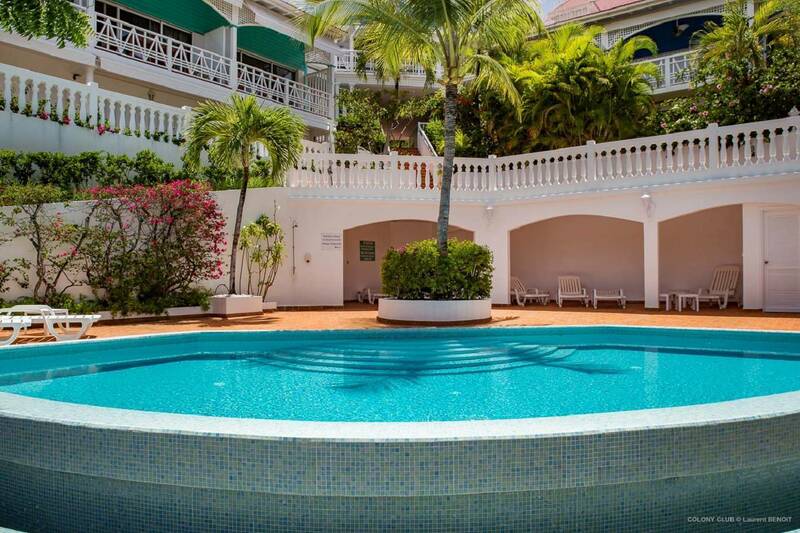 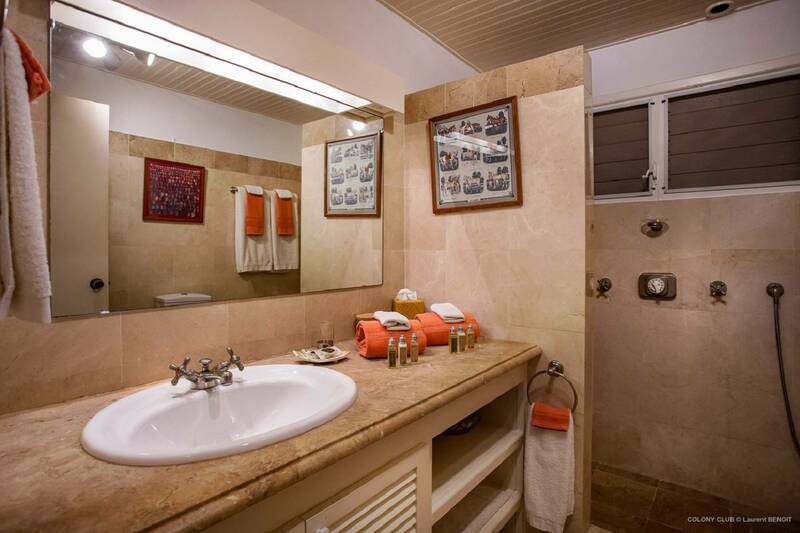 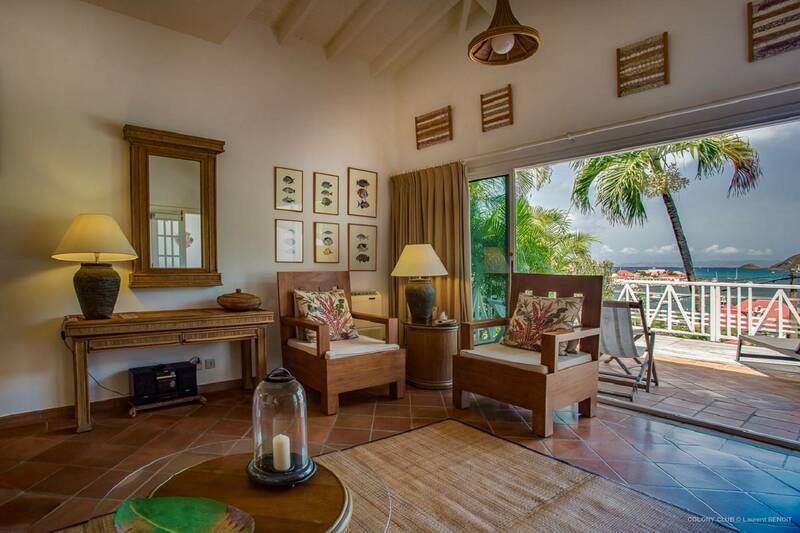 Situated above Gustavia harbor with a stunning view is this wonderful one bedroom one bathroom luxury apartment with beautiful furnishings. 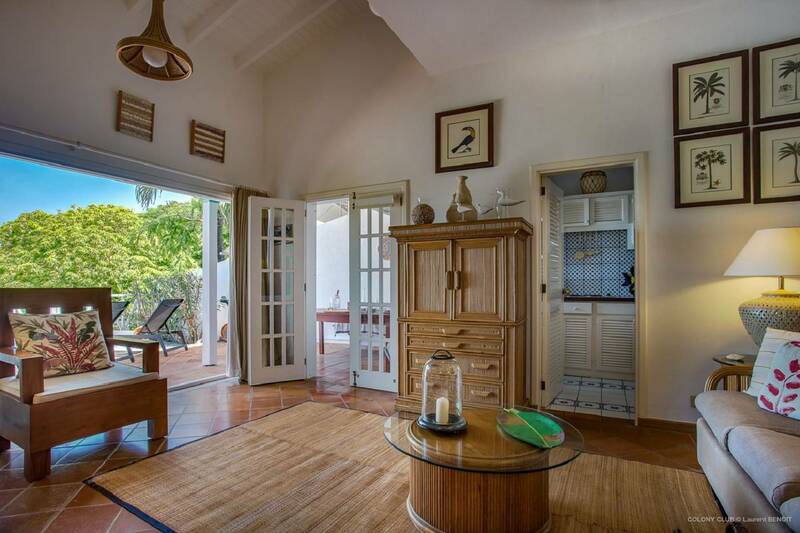 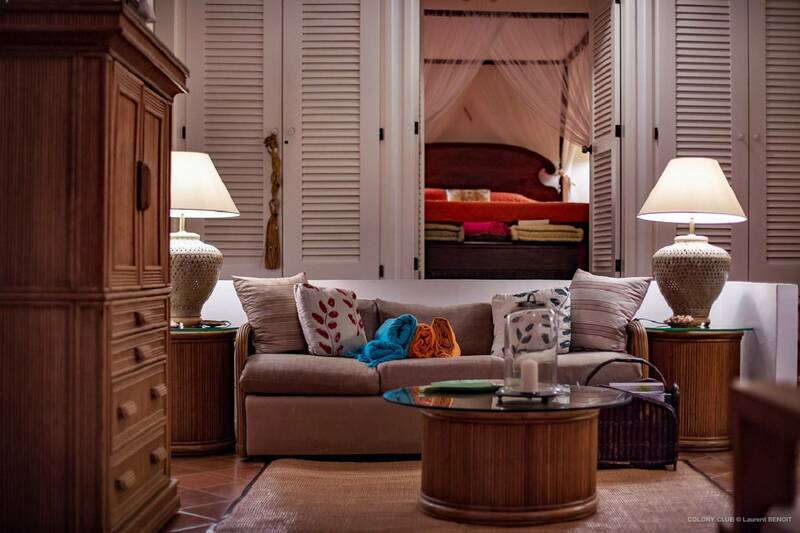 The king bedroom and bathroom lead to a sunken living room, kitchenette and a covered terrace, as well as an open private terrace with outdoor dining. 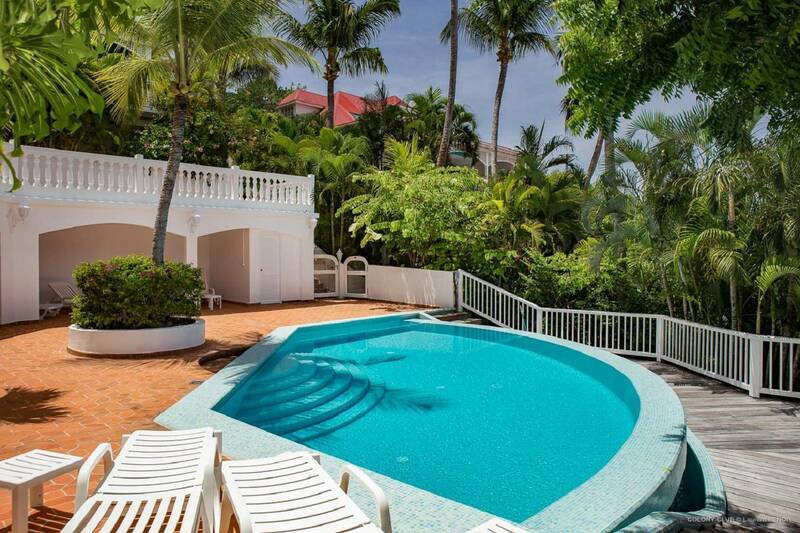 Guests have access to the pool and can walk to the shops, restaurants, and Shell Beach. 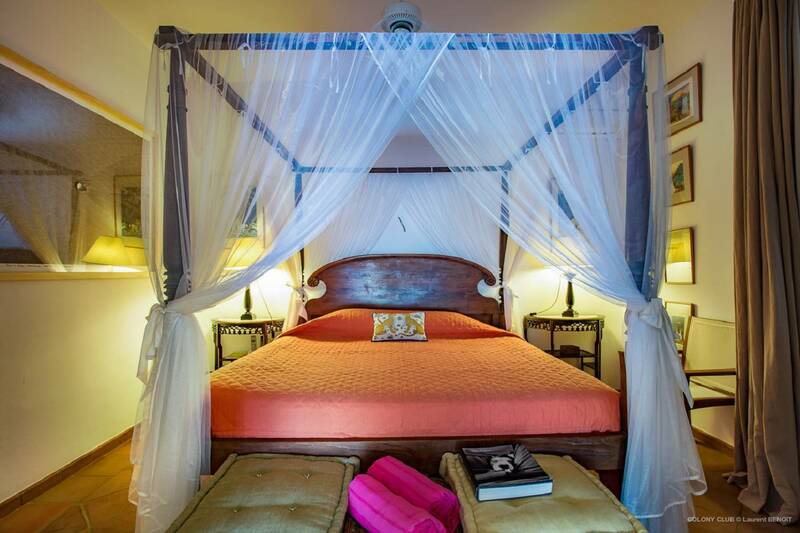 A 4-poster king bed graces the mezzanine-level bedroom. 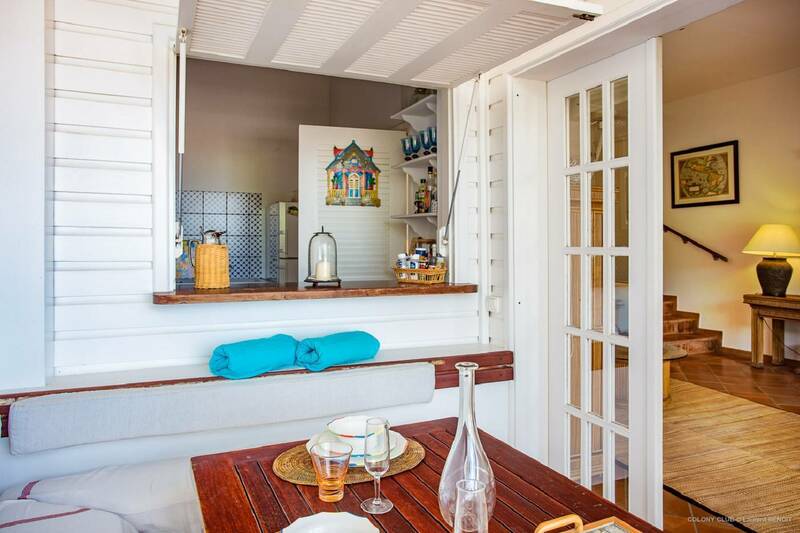 The galley kitchen opens to a lovely covered dining terrace.